Popularity Of Chatbots: What Drives Chatbots Growth? The growing popularity of chatbots has become a fact. For the past two years companies have been more focused on creating them than ever before. It didn’t, however, happen overnight. People have been interested in creating a robot able to communicate with humans since the early 1960s (just to mention ELIZA, ALICE and SmarterChild). Since then, we’ve made a huge step forward. We now have AI assistants like Siri and Cortana, home assistants like Amazon Echo or Google Home. There are more than 100,000 bots on the Messenger Platform alone. According to Business Insider, 80% of businesses want to use chatbots by 2020. Popularity of chatbots: Why are chatbots hot now? First, the way we communicate (and especially chat) has changed drastically. We’ve moved from phone calls to texts, and then to messaging apps. Now the companies have realized realized that chatbots are able to help various industries to reach and engage customers like never before. Second, the current state of the AI, Natural Language Processing (NLP) and voice recognition enables bots to better understand users’ queries and to answer them accordingly. In fact, chatbots are becoming new interfaces in messaging apps, replacing many other mobile applications. Let’s take a closer look at the factors that made chatbots so popular. Chatbots have become a vital part of messaging platforms’ ecosystem. 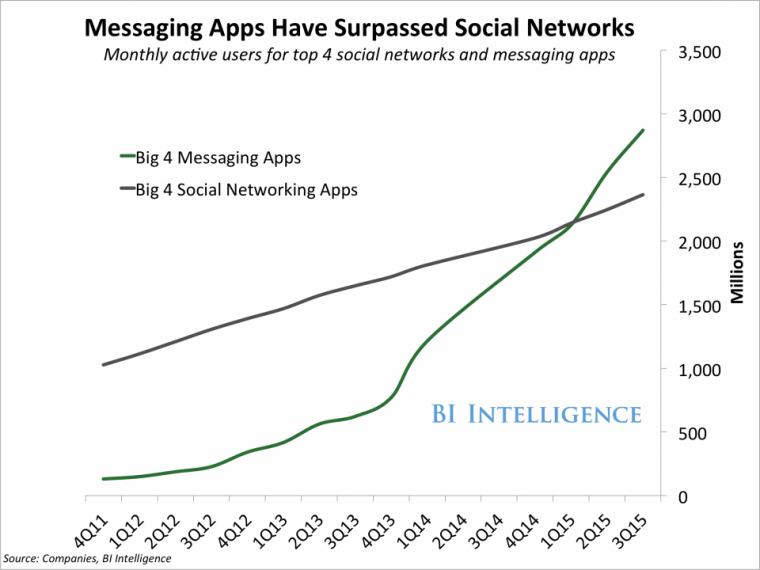 In 2015, top 4 messaging platforms exceeded the biggest 4 social networking apps in the number of monthly active users, according to Business Insider. In April 2016, Facebook introduced their Messenger developer platform, opening up for bots developers. Facebook’s bet on chatbots was aimed to simulate “one-on-one conversations between users and companies [to] expand its reach in customer service and enterprise transactions”. As the Messenger alone has already 1.2 billion monthly active users, and Facebook is reaching almost 2 billion people, there are vast possibilities of using the data collected by the company to create more personalized chatbots, able to e.g. book a flight or make payments. Another thing is that the way we expect brands to communicate with customers has also changed. Today, we want companies to be available 24/7. This is now possible with bots, which can answer the majority of questions and to respond immediately. And, if needed, a human consultant can jump into the conversation at any time. Given that more than 65% of Millenials, Gen Xers and Boomers consider messaging their primary method of communication, popularity of chatbots may also increase the tech adoption amongst generations, helping brands to reach broader potential audience. Let’s face it – users are tired of apps. 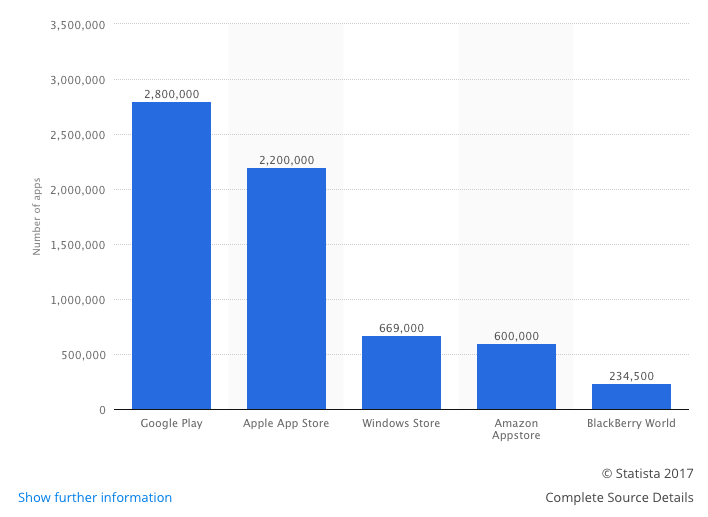 Since the introduction of iPhone and the App Store, programmers worldwide have developed more than 6,5 million apps for all platforms. 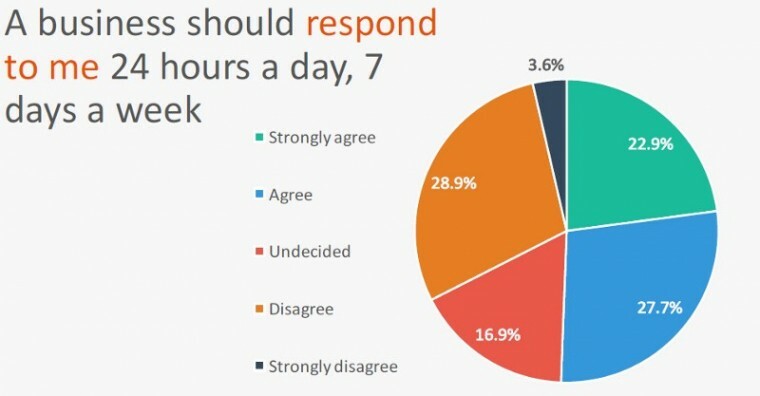 Users and brands are fed up with apps for various reasons. For users, it’s become exhausting to install new apps. Actually, 23% of users abandon the app after just one use, according to Localytics survey based on 37,000 apps. Brands, on the other hand, find it harder than ever to acquire new users, as the competition became fierce. Considering the high cost of developing the apps, brands are looking for alternative solutions. Here’s where the chatbots come into play. They are cheaper, easier and faster to develop and experiment with, making them a great tool for companies to test and implement their campaigns. As for the users, they are also easier to install and use, since everything takes place in a messaging app. The biggest tech brands like Facebook, Microsoft and Google made their bet on bots, introducing their own bot platforms. After acquiring API.ai, Google reached around 60,000 bot developers. There are now over 45,000 developers on Microsoft’s Bot Framework, and around 34,000 developers use the Facebook’s Messenger Platform. For Facebook alone, it resulted in more than 30,000 bots being created in the first six months after introducing its bot platform, Wall Street Journal says. There are also other platforms for bot developers available, such as the Telegram Bot Platform, and bot stores like Botlist or Kik’s Bot Shop. Furthermore, developers can use tools like IBM’s Watson Conversation or Amazon Lex, based on deep learning algorithms and Natural Language Processing to build conversational interfaces of their bots. Microsoft CEO Satya Nadella says that chatbots will become the new interfaces, calling them “conversations as a platform”. He compared conversational bots to breakthroughs like graphical user interfaces, browsers and touchscreens. 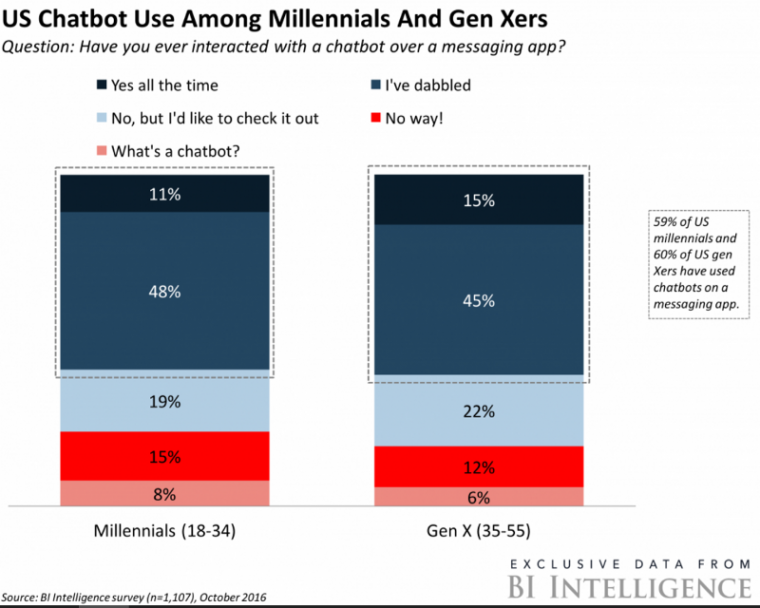 The popularity of chatbots has resulted in 59% of US Millenials and 60% of gen Xers using them on messaging apps so far. And the numbers are still to grow. Although the chatbot experience is not yet perfect with chatbots, they are far better than they were just a couple years ago. They are now able to assist us in some basic tasks that may be automated, saving our time and money. The popularity of messaging apps and the way that chatbots fit this platform is why the popularity of chatbots is growing. Plus, with advancement in AI, machine learning and NLP, the trend of developing more and more chatbots is not going away. Thing to be discussed next is not whether the chatbots are here to stay. It’s what kind of bots we actually need. We want to partner with you to build what’s best on the web and beyond. Start a project with us.